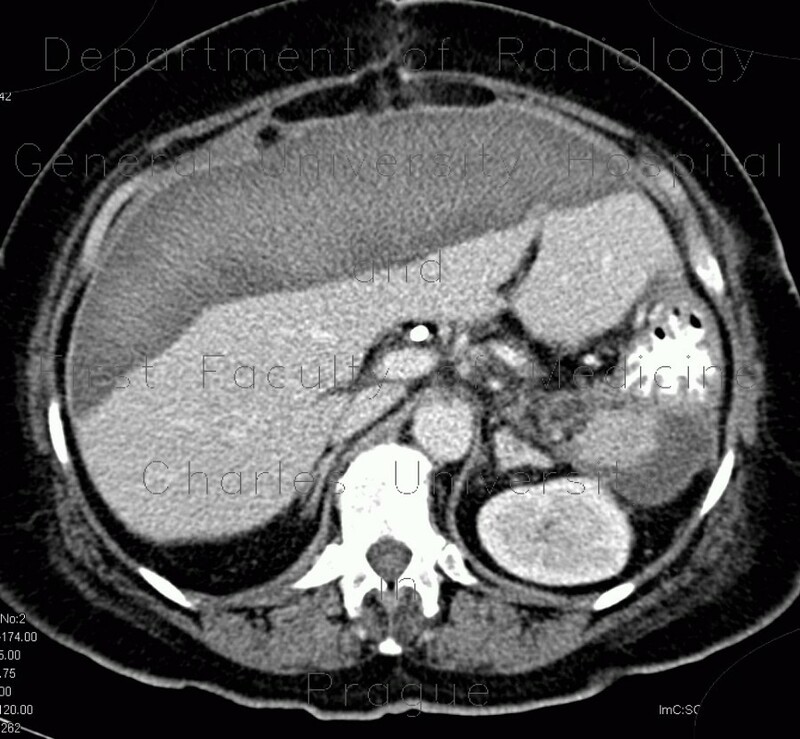 CT shows extensive well-defined area of decreased density in the anterior aspect of both liver lobes, which represents a gigantic hematoma, which is contained within the liver capsule. The hematoma is hypoechoic on ultrasound. Note also absence of spleen after splenectomy and a small fluid collection in this region.